Enjoy the very best Boyne city has to offer at this spectacular Resort Cottage. Turnkey standalone cottage at the waters edge of beautiful Lake Charlevoix, uniquely blending industrial with timeless custom finishes. This property is commercially zoned for a flexible use, liveworkrent space with lower level lock off. Located downtown Boyne City where you can walk out the door and enjoy fabulous restaurants,shopping, farm markets, water sports, and marinas. 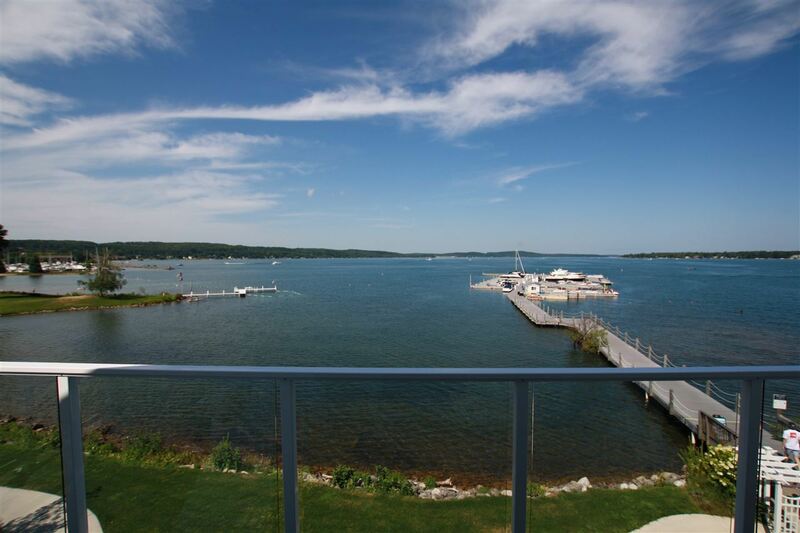 Boyne Mountain is only 6 miles down the road for golf and skiing, making this a true 4 seasons home This condo has spectacular Western exposure with unparalleled views of Lake Charlevoix and the best sunsets around from the 3 lakeside decks!! Showcasing steel grid railing, 3 fireplaces, designer kitchen with Thermadore appliances, Du Chateau reclaimed timber flooring, spa air tub, heated bathroom floors, and an extraordinary kitchen chandelier fabricated by Luna Bella lighting in Miami. This condo is being sold as~is furnishings included!! Condo has a garage and assigned parking spot in adjacent lot. This is one of Boyne's best!! This condo is a must see!! SELLER IS INCLUDING 45' BOAT SLIP!! !